TS Manufacturing offers a variety of Bin Sorting Systems customized to suit your application. Systems range from the proven pusher lug or drag chain systems, to automatic lumber cart filling and chop line sorting bins. Every TS Bin Sorter is constructed with negative angle bins, for jam free operation. Each bin is designed with minimum 5:1 safety factors, for longevity and safety. Each of these designs can be customized with a variety of options including complete UHMW contact surfaces, automatic bin discharge, and wireless remote discharge consoles. Our 'turn-key' experience and in-house engineering allow us to design your system to double as building structure if desired. We vary the design based on your material, piece counts and budget. 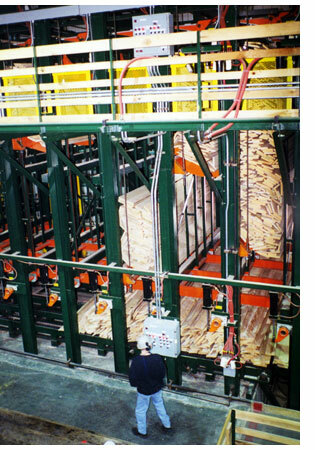 TS Sorters are installed in softwood mills, hardwood mills, planing mills and flooring plants. 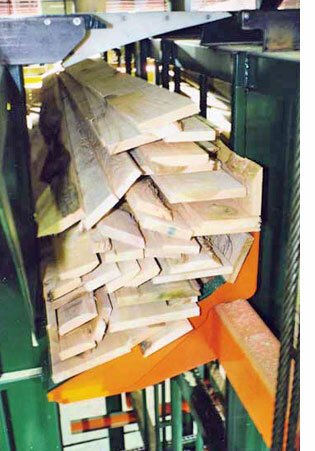 They process soft and high grade species and dimensional grade hardwood at speeds of 150+ lpm.